Charming ranch home on the north side of Stoughton! Bright and sunny with plenty of space that includes a master suite, a family and living room, a sunroom and an unfinished basement that allows room to expand. 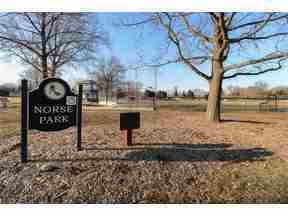 Step outside to a fenced in yard that backs up to gorgeous Norse Park! Newer furnace, roof, water heater, updated bathrooms and much more! Don't miss this opportunity to be in a new home by Syttende Mai!